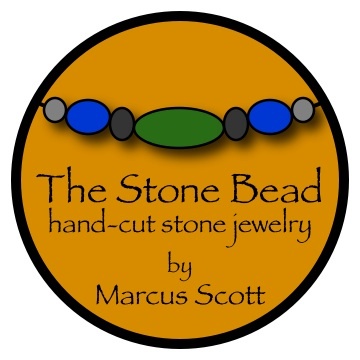 The Stone Bead will be at HeartFest 2012, Feb. 11 and 12. Art by Carola Marashi, poster design by me, Marcus Scott. Heart~Fest 2012 is my first show of the new year, February 11 and 12 at the Briscoe ArtWing, 265 North Main, Ashland, Oregon. Super excited to be making this show happen again. Wa-hooo, it is 2012. Can you feel it, paradigms are shifting whether you like it or not. Me… I like change, and I believe we have been ready for this ride for about 40 years now, overdue. I am preparing some new Heart~Rock Pendants for HeartFest. I am seeing hearts in everything these days. We are at the end of the first month of 2012 and it has been already been a momentous year for me and my business. I was the featured artist of the month for January, 2012 in Locals Guide (click here to link). I feel honored to be part of this thriving community in Ashland ~ Talent, Oregon. So talented here in the land of ash. Hearts on the beach. 2012 is destined to be the year of the love revolution. I want to thank my beloved, Carola Marashi, for the artwork she provided for HeartFest 2012. We worked as a team to create the poster and promo materials. That was a lot of fun. She will also be showing her Heart~Art at HeartFest. 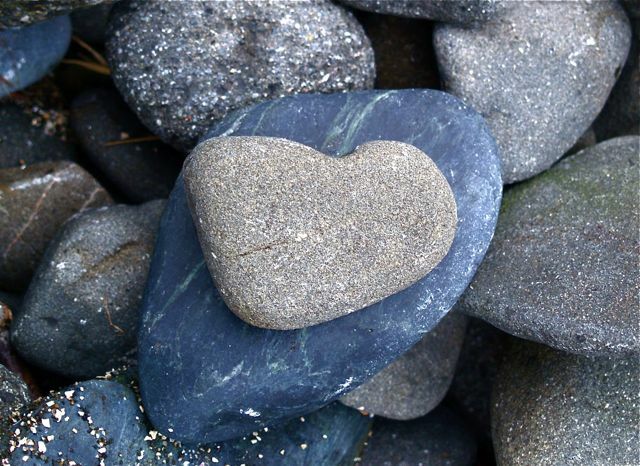 Hearts abound because love resounds, over and over, everywhere you go. 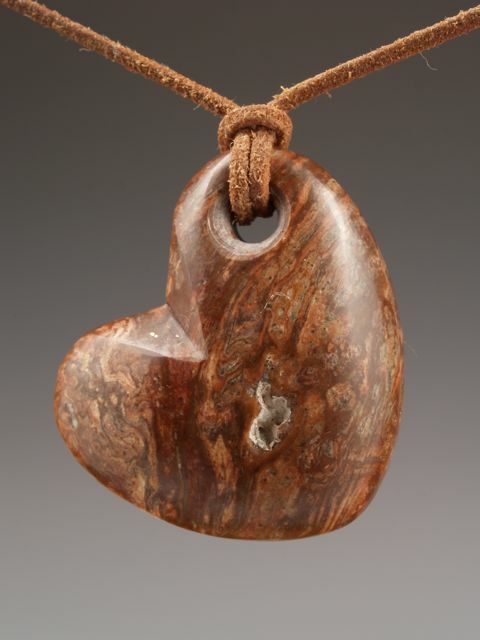 Banded Red Jasper Heart carved from found beach material. Sonora, Mexco. Stay tuned as I will be putting up some more new images real soon, and working on a store-front in the not too distant future. I have done some amazing collecting recently along the Pacific coast-line. I am so grateful for the guidance of a higher power, and the blessed gifts provided by mother nature. I am constantly in awe of the echo of beauty which resonates everywhere all the time. Life… what a gift. Hope to see you all at Heart~Fest 2012. I’ve got some awesome new hearts in the works.